Getting a master’s in special education online quickly while teaching is an excellent way to advance your education career. Graduate special education programs go beyond the basics of instructing PreK-12 students with disabilities to receive added endorsements. Taking the voluntary step to obtain a master’s can pay off with a 15-30 percent salary bump to the median annual wage of $57,910 in special education. The BLS predicts increased hiring of an additional 28,100 special ed teachers nationwide through 2024, but master’s graduates could also become educational diagnosticians, reading specialists, behavior analysts, ESL teachers, curriculum developers, and school administrators. We’ve ranked the following 30 Fastest Online Special Education Master’s Degree Programs to help teachers save time and avoid enormous debt. We began by searching for advanced special education degrees available by distance education in the NCES College Navigator. The 14 pages of results were narrowed based on length. Each degree had to be 36 credits or less with accelerated online courses, transfer availability, or minimal practicum. Preference was given for education schools recognized by the CAEP and Council for Exceptional Children. We then consulted with the U.S. News and Niche online rankings to arrange the fast programs by quality. What later would become the University of Florida was originally founded in 1853 as the East Florida Seminary, the first state-supported institution of higher learning in Florida. Since its inception, the school has become one of the leading universities in state, as well as a member of the Association of American Universities (AAU), the only one in Florida. The Association of American Universities is an association of 62 leading comprehensive research universities – Of all the doctoral degrees awarded in the United States, almost half are awarded by members of the AAU, and 55% of those are in science and engineering. The University of Florida is accredited by the Southern Association of Colleges and Schools Commission on Colleges to award bachelor’s, master’s, specialist, engineer, doctoral and professional degrees. In its 164 years, UF has grown from a school of under 200 students to having a student population of more than 50,000; 33,000 of whom are undergraduate. U.S. News and World Report ranks the University of Florida #1 for Best Online Graduate Education Programs, #14 for top Public Schools, and #50 for National Universities. The University of Florida’s CAEP-accredited College of Education offers a 30-credit master’s degree through the Online Live Well Program. Special educators choose fast tracks like Dyslexia, Autism, and Disabilities in Society. Students in the Live Well program are required to take four courses designed to increase their knowledge and awareness of those with disabilities and the sociopolitical issues associated with them. These courses also qualify students a Disabilities in Society Graduate Certificate in addition to their master’s degree. 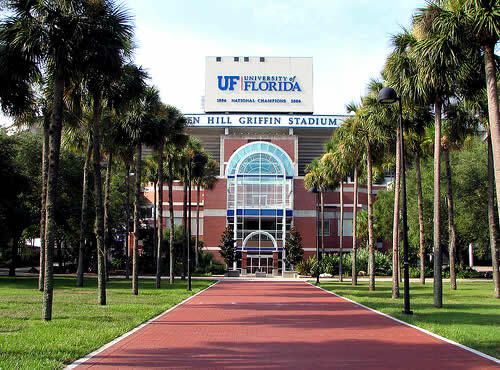 Learn more about the Fastest Online Special Education Master’s Degree Programs at the University of Florida here. Founded in 1890 as Marion Normal College, the school was only incorporated in 1919 and began classes in 1920. Today, Indiana Wesleyan University is a private, evangelical Christian, liberal-arts university of The Wesleyan Church. Located on a 350-acre residential campus in Marion, Indiana; IWU is the largest private college in Indiana as well as being the largest member of the Council for Christian Colleges and Universities (CCCU) – a higher education association of 180 Christian institutions around the world. To better understand Indiana Wesleyan University, here is the CCCU’s Mission. IWU has a student population of 14,730 (10,187 undergraduate) and a student-to-faculty ratio of 15 to 1. As of 2015, 93 percent of Full-time Beginning Undergraduate Students at IWU were receiving financial aid, the average amount being $9,948. As a whole, Indiana Wesleyan University is accredited by the Higher Learning Commission of the North Central Association of Colleges and Schools, while many of their programs are nationally accredited by the appropriate agencies. U.S. News and World Report ranks Indiana Wesleyan #27 for Regional Universities Midwest, and Niche ranks IWU as the third best online college in America. Learn more about the Fastest Online Special Education Master’s Degree Programs at Indiana Wesleyan University here. Founded in 1993 by former Tonka CEO Stephen Shank and Dr. Harold Abel, a former president of three universities, the Graduate School of America would go on to become Capella University in 1999. Capella University was established with the goal of bringing higher education to an underserved adult population. Today Capella University offers 52 different degree programs with 149 graduate and undergraduate specializations, and has (since 1993) awarded 68,750 degrees and certificates to over 63,000 alumni. As of March 2017, Capella University has 38,802 learners enrolled, 89% of whom are part-time. In order to serve that many students, Capella has 1,583 faculty members and faculty administrators; of those, 85% have doctorates. Niche has ranked Capella University as the Seventh Best Online College in America. As a whole, Capella University is accredited by the Higher Learning Commission (HLC), though many of their programs have earned additional accreditation from the appropriate agencies. Capella’s CAEP-accredited Master of Science in Education in Special Education Teaching program was designed to help instructors learn to effectively teach children with a variety of learning disabilities. The program is part of Capella University’s Education Preparation Provider Unit, and is also accredited by the National Council for Accreditation of Teacher Education (NCATE). Teachers take accelerated, 10-week courses and can transfer up to 12 credits for accelerating the 58-quarter credit curriculum. Thanks to Capella’s structure, all classes are offered entirely online, though students will still participate in field exercises, allowing them to put their newly-learned skills to the test in real-life situations. Learn more about the Fastest Online Special Education Master’s Degree Programs at Capella University here. The Agricultural College of the State of Michigan, the forerunner to Michigan State University, was established on February 15, 1855, just 18 years after Michigan became a state. At the time of its founding the college was the first institution of higher learning in the United States to teach scientific agriculture. Located in East Lansing, Michigan, MSU is today a leading research university and frequently ranks among the top 100 universities globally. Michigan State University offers over 200 programs of undergraduate, graduate, and professional study, as well as over 275 study abroad programs in more than 60 countries on all continents. 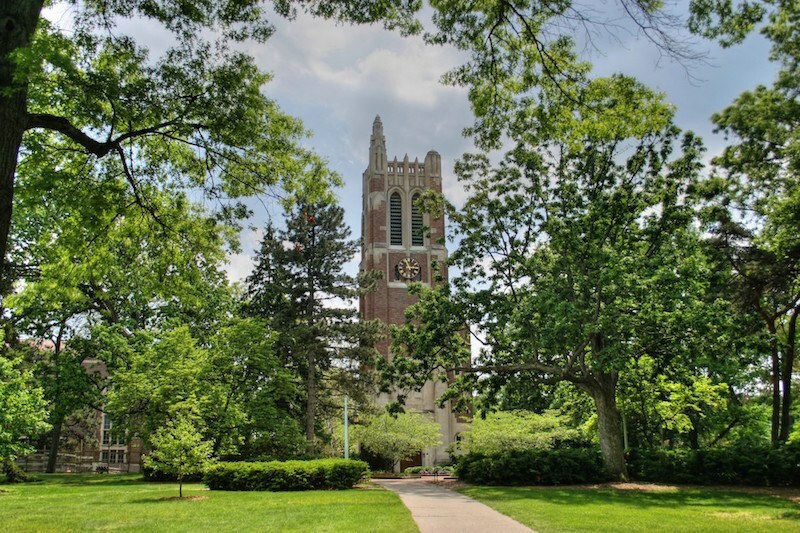 Michigan State University is home to some 50,538 students, 39,143 of them undergraduates, and has a student-to-faculty ratio of 17 to 1. MSU ranks very well both globally and here in the United States. U.S. News and World Report ranks MSU #78 for Best Global Universities, #82 for Best National Universities, #21 for Best Graduate Education Schools (specifically #1 for Secondary Teacher Education), and #8 for Best Online Graduate Education Programs. Michigan State University is accredited by the Higher Learning Commission (HLC). The Master of Arts in Special Education program from Michigan State University’s CAEP-accredited College of Education prepares teachers to advance the quality of education for students with disabilities in K-12 schools. The fully-online program is 30 credits long, though endorsements for Autism Spectrum Disorders, and Learning Disabilities require an additional six credits. While in the MA/ASD program, students can also pursue a graduate certificate in Applied Behavior Analysis (ABA). Learn more about the Fastest Online Special Education Master’s Degree Programs at Michigan State University here. Originally chartered in 1855 as one of the nation’s first colleges of agricultural science, Pennsylvania State University has grown to become one of the nation’s top state universities, with 24 campuses spread across Pennsylvania. In 2000, Penn State and the Dickinson School of Law merged, which is why Penn State now has two law schools, Dickinson Law (in Carlisle, Pennsylvania) and Penn State Law (on University Park campus). While Penn State has been offering distance education since 1892, they firmly established their commitment to it in 1998 with the creation of their World Campus, which graduated its first students in 2000, and today serves over 12,000 students. 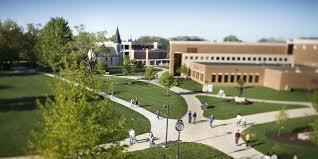 Across its 24 campuses Pennsylvania State University has an enrollment of over 99,000 students. The Main Campus with a student population of 47,307, has a student-to-faculty ratio of 17 to 1, while the World Campus and its student population of 12,242 has a student-to-faculty ratio of only 12 to 1. Penn State World Campus currently offers over 125 accredited graduate degrees, undergraduate degrees, certificates, and minors. 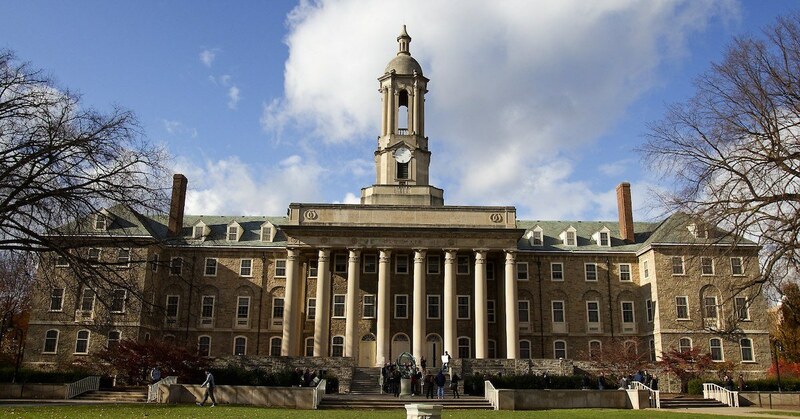 Pennsylvania State University is accredited by the Middle States Commission on Higher Education, and many of their individual programs have additional accreditations from the appropriate. Requiring just 32 credits, the CAEP-accredited Masters in Education in Special Education program from Penn State World Campus is one of the online programs for which Pennsylvania State University earned its U.S. News and World Report ranking of #9 for Best Online Graduate Education Programs. The program heavily focuses on current issues and topics in the field of special education, and allows students to customize their experience by choosing an emphasis in Academic and Behavioral Supports; Applied Behavior Analysis; or Autism. The emphasis in Applied Behavior Analysis includes an 18-credit BACB-approved course sequence and can prepare you to sit for the Behavior Analysis Certification Board certification exam. Learn more about the Fastest Online Special Education Master’s Degree Programs at Pennsylvania State University here. George Washington University began its life as Columbian College, which was established by an act of congress on February 9, 1821. 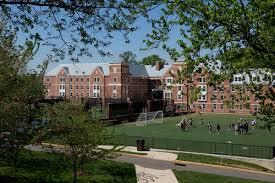 The school’s name was changed to Columbian University in 1873 and to George Washington University in 1904. With three campuses and 10 schools, the university is not only the largest institution of higher education in Washington DC, it is also one of the largest private employers in D.C. as well. GW has a unique connection to the Peace Corps – For 11 years in a row, GW has been recognized as a top-5 provider of Peace Corps volunteers among medium-size universities. Since the Peace Corps’ founding, over 1200 GW graduates have served. George Washington University has a student population of 26,212, 11,157 of whom are undergraduates, and a student-to-faculty ratio of 13 to 1. GW is accredited by the Middle States Association of Colleges and Schools. U.S. News and World Report ranks George Washington University #56 for Best National Universities, #38 for Best Graduate Education Schools, and #16 (tied) for Best Online Graduate Education Programs. The George Washington University’s Graduate School of Education and Human Development (GSEHD) currently offers 58 programs, 20 of which are online. The GSEHD has a total enrollment of 1,405 students, and 72 full-time faculty members. The M.A. in Special Education for Culturally and Linguistically Diverse Learners program from George Washington University’s GSEHD is CAEP-accredited and offered online. The 33-credit program emphasizes theory-to-practice, and employs cutting edge research and practical experience to instill in teachers the skill necessary to ensure the success of students from diverse cultural and linguistic backgrounds as well as those with social or learning disabilities. The program takes just 1.5 years complete and in the end graduates will find themselves qualified for the SPED PRAXIS and ESOL PRAXIS exams. Learn more about the Fastest Online Special Education Master’s Degree Programs at George Washington University here. When the Indiana Normal Institute was foreclosed less than 20 years since its founding in 1899, the land and buildings were acquired by Frank C. Ball and his brothers, young New York industrialists who then donated them to the state of Indiana. The new Indiana State Normal School Eastern Division was opened in 1918. In light of the Ball family’s generosity the school was renamed the Ball Teachers College in 1922, and again in 1929 to Ball State Teachers College. It was only in 1965 that the school finally become Ball State University, an acknowledgment of its growth in both size and quality of education. Since its final name change Ball State has continued its phenomenal trend of growth, now serving a student population of 21,196 and offering seven associate’s, 178 bachelor’s, 99 master’s, 2 specialist, and 16 doctoral degrees in seven academic colleges. 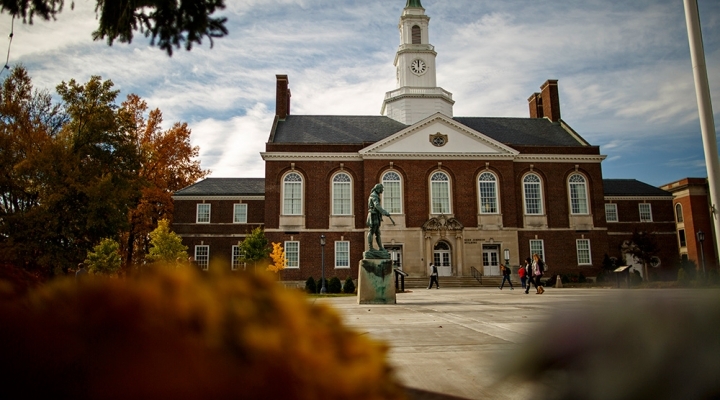 Ball State University reaffirmed their accreditation through the Higher Learning Commission (HLC) on January 14, 2014, and are now accredited through 2023–24. U.S. News and World Report ranks Ball State University #176 for Best National Universities, #101 for Best Graduate Education Schools, #93 for Best Public Schools, and #16 (tied) for Best Online Graduate Education Programs. The Master of Arts in Special Education program from Ball State is recognized by both the Council for the Accreditation of Educator Preparation (CAEP) and the Council for Exceptional Children (CEC). The 30-credit program can be completed in five semesters, and offers a total of eight focus areas – three blended programs, and five that are fully-online: Applied Behavior Analysis, Autism, Director of Special Education/Exceptional Needs, Response to Interventions, and Severe Interventions. Learn more about the Fastest Online Special Education Master’s Degree Programs at Ball State University here. Today, the University of North Texas is home to more than 37,299 students and 1,578 faculty members, with a student-to-faculty ratio of 23 to 1. 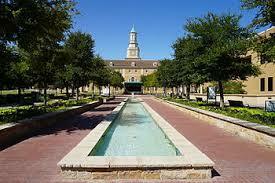 UNT has 13 colleges and schools and offers over 200 degree choices. The University of North Texas is accredited to award bachelor’s, master’s and doctoral degrees by the Southern Association of Colleges and Schools Commission on Colleges, while many individual programs are accredited through the appropriate agencies. U.S. News and World Report ranks UNT #130 for Best Graduate Education Schools, #16 (tied) for Best Online Graduate Education Programs. The online M.Ed. in Special Education program from the University of North Texas allows students to choose between concentrations in Autism Intervention (AI) or Educational Diagnostician (EdDiag) depending on their preference in working with individuals diagnosed with autism spectrum disorder (ASD), or working as an Educational Diagnostician. The CAEP-accredited, 33-credit program can be completed in as little as 15 months. You could begin one summer and graduate the next. Learn more about the Fastest Online Special Education Master’s Degree Programs at the University of North Texas here. Central Michigan University was founded in 1892, and was originally known as the Central Michigan Normal School and Business Institute. The 31 original students attended classes in teaching, business, and stenography, all of which were held in second-floor rooms over an office in downtown Mount Pleasant. From its humble origins, the school has grown to become one of the largest universities in Michigan, and is one of the 100 largest public universities in the United States. Today, Central Michigan University offers over 200 academic programs, and has 150 study abroad programs in more than 40 countries, as well as having more than 220,000 alumni around the world. CMU has a student population of 26,825, and a student-to-faculty ratio of 20 to 1. Central Michigan University distributes more than $361 million in financial aid annually; in fact 74% of all undergraduate students at CMU receive some sort of grant or scholarship aid. CMU is regionally accredited by the Higher Learning Commission (HLC). U.S. News and World Report ranks Central Michigan University #202 for National Universities, #110 for Top Public Schools, and #29 (tied) for Best Online Graduate Education Programs. CMU’s online Master of Arts in Special Education program is only available to Michigan educators with a valid Michigan Teaching Certificate and a Special Education Endorsement. The CAEP-accredited program begins with a base of 18 credit-hours’ worth of core courses, students then take additional classes to qualify for endorsements in Autism Spectrum Disorder (SV endorsement) or Learning Disabilities (SM endorsement). Learn more about the Fastest Online Special Education Master’s Degree Programs at Central Michigan University here. 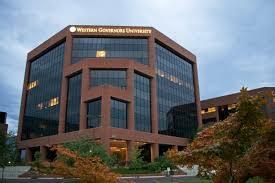 Western Governors University was originally incorporated in 1997, but only began accepting students in 1999. Founded with the intention of maximizing the potential for distance learning, five primary themes went into the initial design of the school: Responsiveness to employment and societal needs, a focus on competency-based education, expanding access, cost-effectiveness, and development of a technology infrastructure. A unique aspect of WGU is that as a competency-based school, students have the ability to accelerate and complete their degrees faster, since progress is based on performance rather than time spent in a class. As an online university, Western Governors University has a student population of 70,504 and a student-to-faculty ratio of 40 to 1. Luckily, each student is assigned a student mentor, someone to serve as a guide and help motivate their mentee during their time in the program. WGU is accredited by the Northwest Commission on Colleges and Universities (NWCCU). Niche ranks Western Governors University the 33rd Best Online College in America. Western Governors University’s Master of Science in Special Education (K-12) program is entirely online and is nationally recognized by the Council for Exceptional Children (CEC). WGU Teachers College is the first exclusively online university to receive National Council for the Accreditation of Teacher Education (NCATE) accreditation for its degree programs that lead to teacher licensure. The 31-unit, competency-based program can be completed in as little as 12 months. Learn more about the Fastest Online Special Education Master’s Degree Programs at Western Governors University here. Following Abraham Lincoln’s signing of the Morrill Land Grant Act in 1862, the Indiana General Assembly voted to participate in the plan. Purdue University was established in 1869, following a donation of $150,000 from John Purdue, $50,000 from Tippecanoe County and 100 acres from local residents. Located in West Lafayette, Indiana, Purdue University is a public research university and is the main campus in the Purdue University System. Purdue University is sometimes referred to as the “Cradle of Astronauts” as 24 Purdue alumni have been selected for space travel, including Neil Armstrong, the first man to walk on the moon. In all, Purdue alumni have flown on more than one-third of all U.S. manned flights. 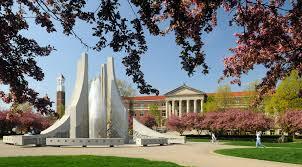 Purdue University has a student population of 40,472, and a student-to-faculty ratio of 12 to 1. Purdue has been accredited continually since 1913, and is currently accredited by the Higher Learning Commission of the North Central Association of Colleges and Schools. Purdue has more than 400 research laboratories and 116 university-approved research centers and institutes, all in the name of expanding the frontiers of knowledge. U.S. News and World Report ranks Purdue University #90 for Best Global Universities, #60 for Best National Universities, #20 for Top Public Schools, and #35 for Best Online Graduate Education Programs. Purdue University currently offers an online Master of Science in Education, in a special education program that can be completed in as little as 20 months. The core of the program focuses on mild intervention, and develops the skills necessary to help assist students with learning disabilities, mild developmental disabilities, emotional behavioral disorders, and high functioning autism. The 31-credit master’s only track is designed for those only seeking knowledge in the field of special education. Students intending to pursue licensure have three additional programs available to them. Learn more about the Fastest Online Special Education Master’s Degree Programs at Purdue University here. The University of Cincinnati can trace its origins back to 1819, with the foundation of Cincinnati College and the Medical College of Ohio. When the University of Cincinnati was established in 1870, it absorbed Cincinnati College and the Medical College of Ohio. In 1906 the university created the first cooperative education program in the world – Cooperative Education is essentially a structured combination of both in-class education and practical work experience. Today, UC is classified as a Research University (Very High Research Activity) by the Carnegie Commission, and offers hundreds of academic programs for students to choose from. The University of Cincinnati has a student population of 36,042; 25,009 of whom are undergraduates, and a student-to-faculty ratio of 18 to 1. As a whole, UC is accredited through the Higher Learning Commission (HLC), though many of its individual programs have earned accreditation through their appropriate agencies and organizations. UC is ranked as one of America’s top 25 public research universities by the National Science Foundation. U.S. News and World Report ranks the University of Cincinnati #135 for Best National Universities, #64 for Top Public Schools, #89 for Best Graduate Education Schools, and #43 for Best Online Graduate Education Programs. The Master of Education in Special Education program from UC can be completed in six semesters/two years. The CAEP-accredited online program consists of 30 semester credits, and aims to give teachers the necessary skills to not only aid special needs students in learning, but to also help improve their quality of life. Students are free to choose from one of four concentrations: Advanced Studies, Autism Spectrum Disorder, Transition to Work, or Behavior Disorders. Learn more about the Fastest Online Special Education Master’s Degree Programs at the University of Cincinnati here. Founded in 1893, Concordia University, St. Paul was established to provide a Christian learning environment for young men preparing to enter the professional ministries of The Lutheran Church-Missouri Synod. 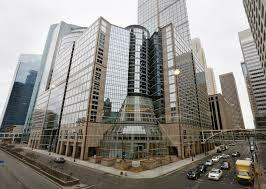 Located in St. Paul, Minnesota, the school is part of the Concordia University System. Operated by the Lutheran Church-Missouri Synod, the Concordia University System is an organization of ten colleges and universities – each of which is named Concordia. Concordia University, St. Paul is one of the smallest schools on the list, and has a student population of only 4,380, and a student-to-teacher ratio of 16 to 1. Concordia University has been continually accredited since 1967, its most recent reaccreditation occurring in 2008 through the Higher Learning Commission. 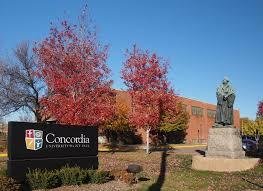 Niche ranked Concordia, St. Paul the 59th Best Online College in America. U.S. News and World Report ranks Concordia University, St. Paul #103 for Regional Universities Midwest, #81 for Best Online Bachelor’s Programs, and #113 for Best Online Graduate Education Programs. Master of Arts in Education – Special Education program from Concordia University holds accreditation for its accelerated, seven-week courses. Students will engage in courses such as: Ethical Issues for Professional Educators, Collaboration in Inclusive Settings, and Collaborative Consult. SPED. The 36 credit-hour program was designed so that students would complete one three credit course every seven weeks. There’s also a 30-credit Master of Arts in Differentiated Instruction online for PK-12 teachers. Learn more about the Fastest Online Special Education Master’s Degree Programs at Concordia University – St. Paul here. The University of Missouri actually has a rather interesting origin. The University came to be when in 1939, 900 citizens of Boone County came together and pledged $117,921 in cash and land to win the bid to locate the new state university in Columbia. Its establishment made it the first public university west of the Mississippi River, and the first in Thomas Jefferson’s Louisiana Purchase Territory. Today, the University of Missouri awards 25 percent of the bachelor’s degrees from Missouri public universities. MU currently offers over 300 undergraduate degree programs through 19 colleges and schools, as well as 100 master’s degree programs, over 70 doctoral degree programs. MU has an overall student population of 35,424 and a student-to-faculty ratio of 20 to 1. Amazingly, 92 percent of percent of full-time, ranked faculty at Mizzou hold doctorates or the highest degree in their field. The University of Missouri is a member of the Association of American Universities, and is accredited by the Higher Learning Commission (HLC). U.S. News and World Report ranks Mizzou #111 for Best National Universities, #51 for Top Public Schools, #43 for Best Graduate Education Schools, and #61 for Best Online Graduate Education Programs. 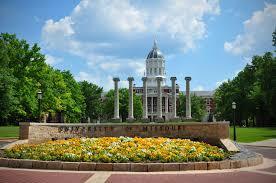 Learn more about the Fastest Online Special Education Master’s Degree Programs at the University of Missouri here. Founded in 1965, Florida International University only truly began its life in 1969, as an abandoned airfield. FIU founding president Chuck Perry gathered three men to help him forge his vision into a reality, Butler Waugh, Donald McDowell and Nick Sileo. Set in an abandoned air traffic controller’ tower, which had no phones, no drinkable water and no furniture, it was decided that the tower should never be destroyed. From an abandoned airfield, Florida International University has grown into one of the largest universities in the United States, and at the heart of the campus there still sits an air traffic controller tower, FIU’s Ivory Tower. 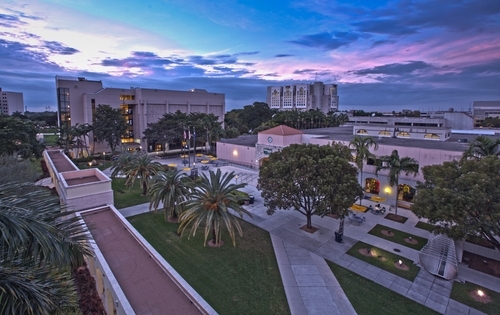 Today, Florida International University belongs to the State University System of Florida and has a student population of 49,702, and a student-to-faculty ratio of 25 to 1. To date, FIU has collectively graduated almost 200,000 alumni, and currently offers over 200 bachelor’s, master’s and doctoral programs, as well as a plethora of fully-online programs. U.S. News and World Report ranks FIU #161 for Best Graduate Education Schools, and #66 for Best Online Graduate Education Programs. Florida International University is accredited by the Commission on Colleges of the Southern Association of Colleges and Schools (SACS), in addition, FIU’s College of Education is accredited by the National Council for the Accreditation of Teacher Education (NCATE). The CAEP-accredited Online Master of Science in Special Education: Autism Endorsement program from Florida International University focuses on providing teachers with the knowledge and skills to support and educate learners on the autism spectrum. The 36-credit hour program includes courses like: Culturally and Linguistically Diverse Exceptional Learners, Instructional Technology, and Working with Families of Students with Disabilities through Collaborative Approaches. The program is designed for students to enroll in four courses (12 credits) per semester, completing two courses each eight-week term in the semester. Learn more about the Fastest Online Special Education Master’s Degree Programs at Florida International University here. Walden University was founded in 1970 by teachers Bernie and Rita Turner, under the shared vision of a new kind of institution for higher education; an institution that allowed professionals to continue working while earning a degree. In 1979 the Minnesota Higher Education Coordinating board approved Walden for licensure, allowing them to grant PhDs and EdDs in the state of Minnesota. Today, Walden University consists of five colleges: The Richard W. Riley College of Education and Leadership, the College of Management and Technology, the College of Health Sciences, the Barbara Solomon School of social work and human services, and the College of Social and Behavioral Sciences, which between them offers 167 programs for students to select from. 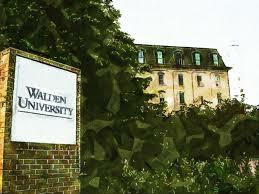 Walden University has a student population of 52,799 and a student-to-faculty ratio of 18 to 1. Niche ranks Walden as the 73rd Best Online College in America. Walden University has been accredited by the Higher Learning Commission (HLC) since 1990, with its most recent reaccreditation occurring in 2013. Many of Walden’s individual programs are further accredited by the appropriate agencies for the field. For those interested in pursuing a special education major, Walden currently offers a Master of Science in Education – Special Education (Non-Licensure) (Grades K-12) program. The program spans 30 credit hours and is offered through the CAEP-accredited Riley College of Education. Teachers develop their ePortfolio with courses like behavior intervention and adapted curriculum in only 12 months. Learn more about the Fastest Online Special Education Master’s Degree Programs at Walden University here. 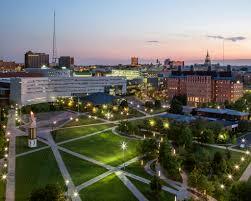 Located in Norfolk, Virginia, Old Dominion was originally founded in 1930 by the College of William and Mary. Established as an extension William and Mary in Williamsburg, Virginia, and Virginia Polytechnic Institute in Blacksburg, Virginia, Old Dominion began as a two-year school for teachers and engineers. Following continued growth, the school was awarded its independence in 1962 and became Old Dominion College, and later Old Dominion University. 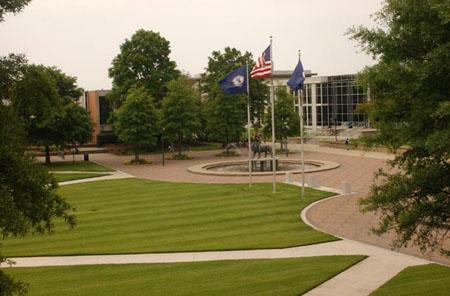 Today, Old Dominion University has six colleges: Arts and Letters, Business and Public Administration, Education, Engineering and Technology, Health Sciences and Sciences; and offers 73 bachelor’s, 43 master’s, 22 doctoral, and two education specialist programs, including 100 online programs that are offered through ODU Online. Old Dominion has a student population of 24,672 and a student-to-faculty ratio of 19 to 1. ODU has more than 140,000 alumni in all 50 states and 69 countries; additionally Old Dominion has the second largest percentage of science, technology, engineering, mathematics, and health (STEM-H) graduates in Virginia. Old Dominion is accredited by the Southern Association of Colleges and Schools, Commission on Colleges (SACSCOC), the Special Education program is further accredited by the National Council for Accreditation of Teacher Education (NCATE). US News and World Report ranks Old Dominion University #210 for National Universities, #118 for Top Public Schools, #112 for Best Graduate Education Schools, and #77 for Best Online Graduate Education Programs. The Master of Science in Education – Special Education program from Old Dominion University is online and is offered through the CAEP-accredited Darden College of Education. The 30-credit program focuses on research, advanced instructional strategies, and the foundations of special education leadership. Aligned to CEC standards, the accelerated program suits fully licensed teachers in Virginia or Washington. Furthermore, the advanced competencies can qualify as prerequisite course work to the PhD concentration in special education. Learn more about the Fastest Online Special Education Master’s Degree Programs at Old Dominion University here. Founded in 1923 as South Park Junior College, the school would enroll 125 students in its first fall semester. The school’s name was changed to Lamar College in 1932, in honor of Mirabeau B. Lamar, second president of the Republic of Texas and the “Father of Education” in Texas. In 1951 Lamar became the first junior college in Texas to make the transition to a state-supported four-year institution, its name altered to Lamar State College of Technology to reflect the change. Following the introduction of its first doctoral program in 1970, Lamar became Lamar University in 1971, and later joined the Texas State University System in 1995. Today, Lamar University offers 96 undergraduate, 50 master’s, and eight doctoral degree programs across 7 colleges: The College of Arts and Sciences Majors, the College of Engineering, the College of Fine Arts and Communication, the College of Business Majors, the College of Education and Human Development Majors, the College of Graduate Studies, and the Reaud Honors College. LU has a student population of 14,965 and a student-to-faculty ratio of 19 to 1. Lamar University is accredited by the Southern Association of Colleges and Schools Commission on Colleges to award associate, baccalaureate, master’s, and doctorate degrees. U.S. News and World Report ranks Lamar University #77 for Best Online Graduate Education Programs. The Online Master of Education in Special Education program from Lamar University is offered through the CAEP-accredited College of Education & Human Development. The 36-credit hour course can be completed in as few as 18 months. The five-week courses span from psychoeducational evaluation to school law for advanced SPED endorsements. Learn more about the Fastest Online Special Education Master’s Degree Programs at Lamar University here. 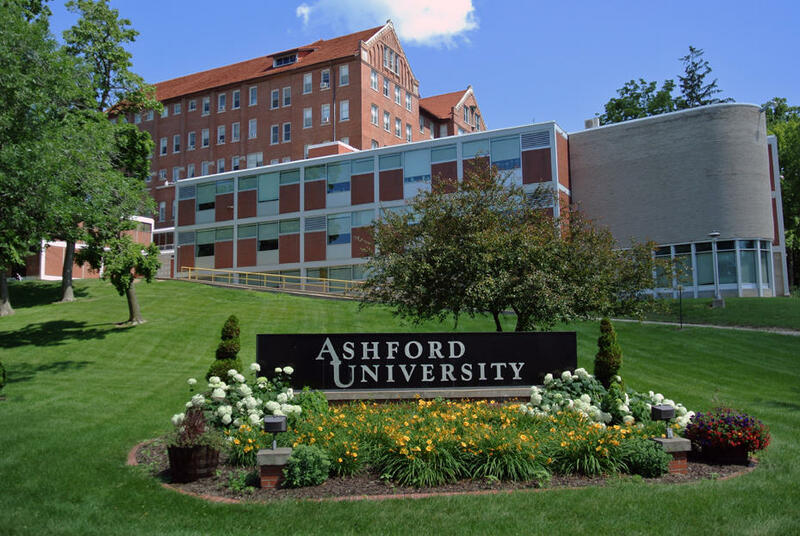 Ashford University was originally founded in 1918 as Mount St. Clare College, a junior college for women. Established by the Sisters of St. Francis, Clinton, Iowa, the school was first accredited in 1950 by the North Central Association of Colleges and Schools, and was awarded approval to award baccalaureate degrees in 1979. In 2002, Mount St. Clare College became The Franciscan University, and conferred its first master’s degrees in 2004. The university was acquired by the Higher education organization Bridgepoint Education, Inc. in 2005, and the school was renamed Ashford University. Ashford University has a student population of 42,452 and a student-to-faculty ratio of 13 to 1. Niche ranks Ashford University as the 90th Best Test Optional University College in America, and the 77th Best Online College in America. Today, Ashford University consists of four colleges: The Forbes School of Business & Technology, the College of Education, the College of Health, Human Services, and Science, and the College of Liberal Arts – and offers over 60 degree programs between them. Ashford University is accredited by WASC Senior College and University Commission (WSCUC). The online Master of Arts in Special Education program from Ashford University is not CAEP-accredited. The 30-credit program combines theory and application through rigorous and coursework and practice. The six-week courses have 24/7 tech support, and instill the skills necessary for teachers to better develop learning and behavioral interventions, and ways to provide special education students with the means to reach their utmost potential. Learn more about the Fastest Online Special Education Master’s Degree Programs at Ashford University here. In 1906, the Kentucky General Assembly enacted legislation that would establish the Eastern Kentucky State Normal School. In 1922 the school became a four-year institution, promptly changing its name to the Eastern Kentucky State Normal School and Teachers College. While the school conferred its first degrees in 1925, it wouldn’t be until 1928 that the school would be accredited by the Southern Association of Colleges and Secondary Schools. Following another two name-changes in 1930 and again in 1948, the Eastern finally came to be known as Eastern Kentucky University in 1966; to go along with this final change the university was given permission to award graduate degrees in academic fields other than education. 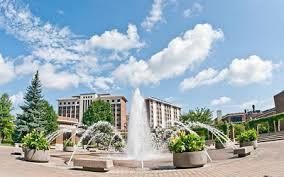 Today, Eastern Kentucky University has a student population of 16,844 and a student-to-faculty ratio of 16 to 1. EKU maintains six campuses between three regions, with Hazard and Manchester in the EKU East Region, Danville and Lancaster in the EKU Central Region, and Corbin and Somerset in the EKU South Region. Eastern Kentucky University is accredited by the Commission of Colleges of the Southern Association of Colleges and Schools Commission on Colleges (SACSCOC). U.S. World and News Report ranks EKU #29 for Top Public Schools, #79 for Regional Universities South, and #92 for Best Online Graduate Education Programs. Eastern Kentucky University’s, CAEP-accredited Master of Arts in Special Education program comes in a variety of manners. Whichever specialization you decide to pursue: Early Childhood, Deaf and Hard of Hearing, or Learning and Behavior Disorders, each program has specific options that can affect both credit requirements and certification upon completion. While a master’s advanced study course consists of only 30 credit hours, the master’s, plus certification, adds between six and 12 extra credit hours. Learn more about the Fastest Online Special Education Master’s Degree Programs at Eastern Kentucky University here. Founded in 1950 as the California Baptist College, the school began with 42 students in fall 1950; 120 were enrolled during the 1950-51 academic year. In 1954, eight students became the first to earn undergraduate degrees from California Baptist College. By 1955 the school’s continued growth necessitated a move to larger facilities in Riverside, California. Today, California Baptist University stands as a private, Christian, liberal arts university with 11 schools and colleges that offer 75 bachelor programs, including 159 concentrations and 50 minors; 30 master’s degree programs, with 46 concentrations; and two doctoral programs. California Baptist University has a student population of 8,541 and a student-to-faculty ratio of 18 to 1. 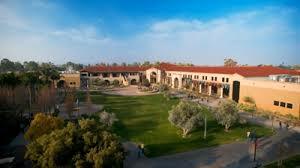 As a whole, CBU is accredited by the Accrediting Commission for Senior Colleges and Universities of the Western Association of Schools and Colleges (WASC), though many of the CBU’s various schools and programs hold accreditation or membership with organizations related to their particular disciplines. Likely in reference to their style of Spanish architecture, Niche has ranked California Baptist University 6th for Best College Campuses in America. U.S. News and World Report ranks CBU #37 for Regional Universities West, #21 for Best Colleges for Veterans, and #101 (tied) for Best Online Graduate Education Programs. Approved by the California Commission on Teacher Credentialing (CTC), California Baptist University’s Dr. Bonnie G. Metcalf School of Education currently offers an online Master of Science in Education with a Specialization in Disability Studies Program. Designed for professionals with an interest in serving those with disabilities, the 30-credit program can be completed in as little as 12 months, and should prepare graduates to provide leadership in disability ministries as well as helping to integrate of persons with disabilities into local churches. Learn more about the Fastest Online Special Education Master’s Degree Programs at Calfornia Baptist University here. Founded in 1932 by the Episcopal Church, Boise Junior College went on to earn its independence a mere two years after its establishment. 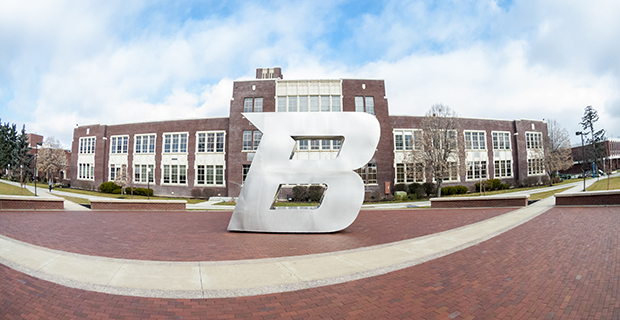 With their introduction of baccalaureate degrees, the school became a four-year college in 1965, and entered the state system of higher education in 1969, resulting in a name change to Boise State College. In 1974, BSC was officially awarded university status, and its named changed one final time to Boise State University. Today, Boise State is designated as a doctoral research institution by the Carnegie Classification of Institutions of Higher Education. Boise State University has a student population of 22,086 and a student-to-faculty ratio of 17 to 1; 7,380 (33 percent) of those students are taking at least one online course. BSU is accredited by the Northwest Commission on Colleges and Universities (NWCCU), and many of its academic programs have special accreditation from organizations related to those fields. U.S. News and World Report ranks Boise State University #57 for Best Graduate Education Schools, and #101 (tied) for Best Online Graduate Education Programs. Boise State University’s CAEP-accredited College of Education grants a fully online Master’s in Teaching for Special Education or Early Childhood Intervention. Admitting cohorts each July, these 36-credit online degrees take just four semesters to complete, and focus on collaboration and teamwork in classroom and clinical settings.Completion of the program enables you for initial licensure in special education K-12 (SPED) or Early Childhood Education/Early Childhood Special Education (ECE/ECSE) with the Idaho State Department of Education. Learn more about the Fastest Online Special Education Master’s Degree Programs at Boise State University here. Established in 1958 by Chapman University, the Chapman University College was created to provide quality education to the El Toro Marine Corps Air Station. Though now a separate university, Brandman has maintained its military-friendly attitude while having expanded to encompass adult learners as well. Still part of the Chapman University System, Brandman University stands today as a private, non-profit university that seeks to provide higher education to working adults. 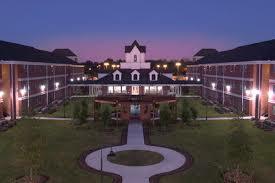 Brandman University has a student population of 8,004 and a student-to-faculty ratio of 16 to 1. With 26 locations across California and Washington, Brandman University and its more than 50 accredited undergraduate and graduate degrees are readily available to those looking to expand their education. Brandman University is accredited by the WSCUC Senior College and University Commission (WSCUC). U.S. News and World Report ranks Brandman #101 (tied) for Best Online Graduate Education Programs. Brandman University’s CAEP-accredited School of Education currently offers a fully online Master of Arts in Special Education program with five unique concentrations: Emphasis in Teaching and Learning, Advanced Methodology, Autism, Behavior Analysis, or Early Childhood. Whichever concentration you decide upon, the program is divided into two sections, an 18-credit core block that includes courses like: Advanced Assessment and Program Evaluation in Special Education, Research and Evaluation Methods, and Collaborative and Cooperative Teaching – and a concentration block that varies in length, from 12 to 18 credits. Learn more about the Fastest Online Special Education Master’s Degree Programs at Brandman University here. The Indiana State Normal School was established in 1865 with the goal of providing education to elementary and high school teachers. Indiana State University still celebrates January 6th as Founders Day, the day in which 23 students presented themselves to a faculty of three on the first day of classes at the Indiana State Normal School. The school awarded its first baccalaureate degrees in 1908, and its first master’s degrees in 1928, which precipitated a change of name to Indiana State Teachers College. As the school continued to grow and expand its focus it was renamed twice more, once in 1961 to Indiana State College, and finally to Indiana State University in 1965. ISU has a student population of 13,584 and a student-to-faculty ratio of 20 to 1. Today, Indiana State University offers more than 100 undergraduate majors, over 75 graduate programs, including master’s, educational specialist, and doctoral degrees, as well as more than 30 bachelor’s and master’s degree programs offered entirely online. Indiana State University has been accredited by the Higher Learning Commission (HLC) since 1915; in addition, many of its programs are accredited by specialized agencies and organizations. U.S. News and World Report ranks ISU #156 for Best Graduate Education Schools, and #113 for Best Online Graduate Education Programs. Indiana State University’s Bayh College of Education currently offers an online Master of Science in Special Education program. The CAEP-accredited program allows for tailoring depending on a student’s prior licensure, and experience. Those looking to add a special education teaching license to an existing teaching license are required to only complete 30 credits of coursework, and can complete the program in as little as 12 months. Alternatively, there is a 39-credit hour program that can be completed in 14 months of full-time study. Learn more about the Fastest Online Special Education Master’s Degree Programs at Indiana State University here. Founded in 1949 as a branch of the University of Virginia, the Northern Virginia University Center of the University of Virginia obtained its independence in 1972 and was summarily renamed George Mason University. Today, George Mason University has three campuses: in Fairfax, Arlington and Prince William Counties in Virginia and an international campus in Songdo, Korea. Mason is the largest public research university in the Commonwealth of Virginia. The Fairfax campus alone consists of over 677 wooded acres and its residential areas are home to more than 6,000 students. Mason has a total student population of 33,929; 23,066 are undergraduates. The school also has a student-to-faculty ratio of only 16 to 1. George Mason University is accredited by the Commission on Colleges of the Southern Association of Colleges and Schools (SACSCOC) to award bachelor’s, master’s, and doctoral degrees. Mason ranks very well among various institutions, Forbes ranks Mason #64 in Public Colleges and #111 in Best Value Colleges. Niche has ranked it 94th for Best Colleges for Education in America, 85th for Top Public Universities in America, and #76 for Best Big Colleges in America. U.S. News and World Report ranks Mason #143 for National Universities, #14 for Most Innovative Schools, #62 for Best Graduate Education Schools, and #123 for Best Online Graduate Education Programs. George Mason University’s College of Education currently offers a Masters of Education in Special Education with Emphasis on Applied Behavior Analysis program. The program consists of three credit requirements, totaling between 30 and 42 credits: 18 credits ABA courses, 12 credits MEd courses, 15 credits optional practicum. Since practicum is optional, the 30-credit degree leads to BACB certification in one year. Learn more about the Fastest Online Special Education Master’s Degree Programs at George Mason University here. Originally founded as a preparatory school in 1851, seven years before the territory of Minnesota became a state, the school was forced to close its doors during the Civil War due to financial difficulties. Thankfully, John Sargent Pillsbury, University regent, state senator, and governor, used what pull he had to establish the school as the recipient of the Morrill Land-Grant Act. As the state’s land-grant institution, the University of Minnesota soon began to flourish, awarding its first bachelor of arts degrees in 1873, and its first doctor of philosophy degree in 1888. Over the years the University of Minnesota has added four new campuses: the Duluth campus in 1947; the Morris campus in 1960; the Crookston campus in 1966; and the Rochester campus in 2006. Today, the University of Minnesota consists of 19 colleges and schools, and has a total student population of 50,678 – with a student-to-faculty ratio of 17 to 1. 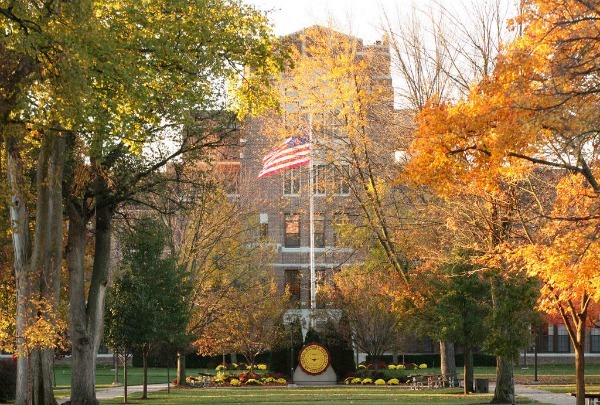 While the Twin Cities campus has been continually accredited since 1913, all campuses of the University of Minnesota operate with the accreditation of the Higher Learning Commission. Each campus is accredited to award bachelor’s degrees, while only the Twin Cities and Duluth campuses are accredited to offer master’s degrees, and only the Twin Cities campus is accredited to grant doctoral and professional degrees. U.S. News and World Report ranks UMN #38 for Best Global Universities, #71 for National Universities, #26 (tied) for Top Public Schools, #21 for Best Graduate Education Schools, and #123 for Best Online Graduate Education Programs. The College of Education and Human Development at the University of Minnesota currently offers an online Master of Education in Special Education program and teacher licensures. The CAEP-accredited program teaches students to use the IDEAL Problem-Solving Model in special education. A minimum of 30 credits are required for completion of the M.Ed. degree. The program has numerous options, allowing students to choose between various single or dual programs. Depending on the licensure you choose, an additional 12.5 – 31 credits may be required. 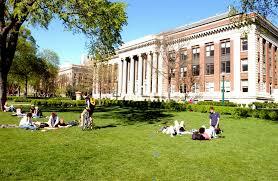 Learn more about the Fastest Online Special Education Master’s Degree Programs at the University of Minnesota here. The University of Kansas was founded on March 21, 1865. Located in Lawrence, Kansas, the university is one of 62 members of the Association of American Universities. Since its founding, the University of Kansas has grown to encompass five campuses: the Lawrence Campus, the Medical Center Campus in Kansas City, The Wichita Campus, the Salina Campus, and the Edwards campus. Between the five campuses KU has a total of 13 schools, including the only schools of pharmacy and medicine in the state, and offers more than 370 degree programs. Today, the University of Kansas is a major public research and teaching institution, and has a total student population of 27,259 with a student-to-faculty ratio of 16 to 1. The University of Kansas has been continuously accredited since 1913, and is currently accredited by the Higher Learning Commission of the North Central Association of Colleges and Schools. Forbes ranks the KU #71 for Top Public Colleges. U.S. News and World Report ranks Kansas #118 for National Universities, #56 for Top Public Schools, #17 for Best Graduate Education Schools, and #136 (tied) for Best Online Graduate Education Programs. The University of Kansas School of Education is accredited by the National Council for Accreditation of Teacher Education (NCATE) Standards through the CAEP Accreditation System. With their most recent reaccreditation, as of 2015, the school is accredited through 2021. The Master’s in Education – Special Education program from the University of Kansas features accelerated, eight-week courses in two concentrations: Autism or Secondary Special Ed and Transition. Learn more about the Fastest Online Special Education Master’s Degree Programs at the University of Kansas here. 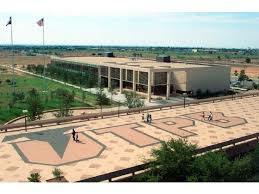 Authorized by the Texas Legislature in 1969, the University of Texas of the Permian Basin was officially founded in 1973. Between 1973 and 1991 UT Permian Basin only offered junior, senior, and graduate-level courses, though this changed to a more traditional curriculum in 1991 when Permian Basin became a four-year university. The change from an upper-level institution to a four-year campus allowed students to complete their education requirements without having to leave Permian Basin. An interesting fact is that the majority of Permian Basin students work part-time or full-time, and as a result many upper-level and graduate courses now are offered with scheduling options like evening hours, distance education, or weekend programs. UT Permian Basin has a relatively small student population of only 6,077, and a student-to-faculty ratio of 20 to 1. The University of Texas of the Permian Basin is accredited by the Commission on Colleges of the Southern Association of Colleges and Schools to award baccalaureate and master’s degrees. Many of the university’s programs and schools are accredited by specialized organizations, such as the Educator Certification Program and its accreditation through the National Council for Accreditation of Teacher Education (NCATE). U.S. News and World Report ranks UT Permian Basin #93 for Regional Universities West, #37 for Top Public Schools, and #136 (tied) for Best Online Graduate Education Programs. The Master of Arts in Special Education program from University of Texas Permian Basin is offered entirely online. The 33-credit hour program is accredited by the CAEP, the CEC, and the SBEC and can allow you to earn your Master’s degree in just 12 months with eight-week, online courses. Every course taught in the online program is taught by the same teachers that instruct on campus, and the flexible curriculum can be tailored towards specialization in Autism or Developmental Disabilities. Learn more about the Fastest Online Special Education Master’s Degree Programs at the University of Texas of the Permian Basin here. Founded in 1971 as Lynchburg Baptist College, the school came about due to a challenge from Pastor Jerry Falwell Sr. Falwell challenged his congregation at Thomas Road Baptist Church to establish a Christian college whose students would “go out in all walks of life to impact this world for God.” The name of the school was changed to Liberty Baptist College in 1976. By 1985 the school was fully accredited and had changed its name to Liberty University when it obtained university status in 1984. Following the death of Jerry Falwell Sr. in 2007, his son Jerry Falwell Jr. took over as president of the university. In its 46 years in operation, Liberty University has grown to become the fifth largest university in the United States, and the world’s largest Christian university. Today, Liberty University has a student population of 80,494; 49,863 are undergraduates, and they can boast of a student-to-faculty ratio of only 18 to 1. Liberty University is accredited by the Southern Association of Colleges and Schools Commission on Colleges to award associate, bachelor’s, master’s, specialist, and doctoral degrees. Niche ranks Liberty University 1st for Most Conservative University in America, and 3rd for Best College Campuses in America. 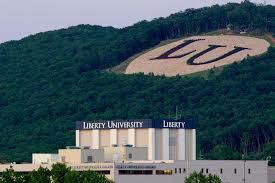 U.S. News and World Report ranks Liberty University #174 for Best Online Graduate Education Programs. The Master of Arts in Teaching – Special Education program from Liberty University’s CAEP-accredited School of Education is delivered in a format that requires students to be on campus from time to time. Note that the program cannot be completed entirely online. The 36-credit Online M.A.T. in Special Education is designed specifically for those who have no prior teaching experience, and are interested in initial teaching licensure in special education. The program welcomes up to 13 transfer credits for acceleration toward the inclusive student teaching internship. Learn more about the Fastest Online Special Education Master’s Degree Programs at Liberty University here. 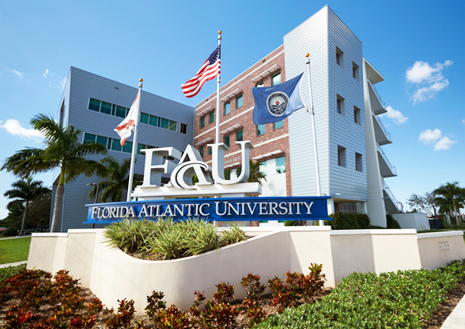 Today, Florida Atlantic University offers over 180 degree programs through its 10 colleges. FAU has over 149,412 living alumni, and a current student population of 30,380, with a student-to-faculty ratio of 23A to 1. As a whole FAU is accredited by the Southern Association of Colleges and Schools Commission on Colleges (SACSCOC), though many of its colleges and academic programs within those colleges are colleges are also accredited by field-specific organizations and associations. Forbes ranks Florida Atlantic University #196 in Public Colleges, and #208 in Research Universities. U.S. News and World Report ranks FAU #193 for Best Online Graduate Education Programs. The Master’s in Education in Exceptional Student Education from Florida Atlantic University is offered with several areas of concentration: Instructional Practices in ESE, Gifted Education, Autism Spectrum Disorders, Early Childhood, Reading, Applied Behavior Analysis, or Professional Development. FAU’s CAEP-accredited program has a 36-credit hour minimum requirement, this includes College and Department Core, as well as the student’s choice of a concentration area. Learn more about the Fastest Online Special Education Master’s Degree Programs at Florida Atlantic University here. This entry was posted in University Rankings on May 29, 2017 by tjentz.